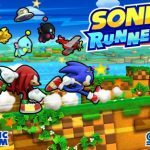 We’ve previously given you a number of tips and tricks for Sonic Runners, that SEGA game for iOS and Android devices that stars iconic video game character Sonic the Hedgehog. Today, we’re going to take a look at another Sonic-featured game, Sonic Dash. When Sonic uses his dash, you can have him running at an incredible speed, and you can also use his other powers to avoid obstacles and leap over them if need be. Of course, Sonic’s powers can be used to defeat his enemies. 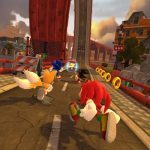 All in all, this is a great mobile twist on the Sonic video games of old, and now we’re going to focus solely on the simple Sonic Dash cheats, tips and hints, the ones that you may typically forget when playing the game. As you can potentially lose each and every one of the rings you earned in a game, you’ll want to save them while playing the game. Head to the ring icon on the upper right corner of your screen; this won’t always appear, but you’ll see it quite a number of times in a game, so take advantage of it when you can. As you probably know, Sonic has a meter that would allow him to move faster, and be impervious to danger once it’s filled up. When trying to fill up this meter, string together combos – the more combos you pull off, the faster your meter will fill up completely. When killing enemies, run over them, as that’s another way you can have a full meter faster. Once Sonic dies for the first time, you’ll be asked to watch an optional ad video if you want to revive him for free. The ad lasts only 10 seconds, so that’s a very quick sacrifice to bring Sonic back without having to pay. Otherwise, you’ll have to pay coins to revive Sonic, which means it will usually be better to start the game from scratch rather than part with your coins. 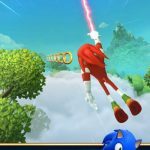 Let’s face it – it’s quite hard to save rings in Sonic Dash, so you should focus mainly on your upgrades, which are permanent, unlike power-ups. When using your rings, pay for upgrades; power-ups may actually be better to avoid as they only work temporarily, and Sonic will be receiving some power-ups along the way anyway. There are some springs in the game that will kick off a boss battle. Fortunately, these battles are easier than the ones in those vintage Sonic titles. As Sonic advances, you should do whatever you could to avoid objects, and when moving Sonic, you should be focusing closely on where the boss is aiming at. It’s all a matter of staying frosty and maintaining your composure when you’re up against a boss. Red star rings are Sonic Dash’s not-quite-premium currency, and you’ll earn them by completing missions. It can be quite challenging to get them free of charge, so you should save your red rings for special items, such as new characters.